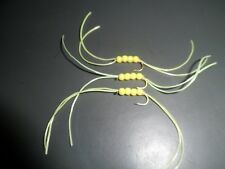 These are tied with plastic 3mm beads making them an ideal dropper pattern. These are tied with generous long legs, better to be long than too short, you can always trim them to your preferred length. 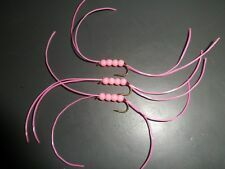 These are tied with plastic 3mm beads making them an ideal dropper pattern. They are best fished static, buzzer style under an indicator, although I have caught on them while rapidly retrieving them to cover a large passing fish!